I have been trying to figure out how to do pasta in the solar cooker. Gluten-free pasta, to be exact, which doesn’t always turn out even when cooked normally. Today was my first baby step in that direction. 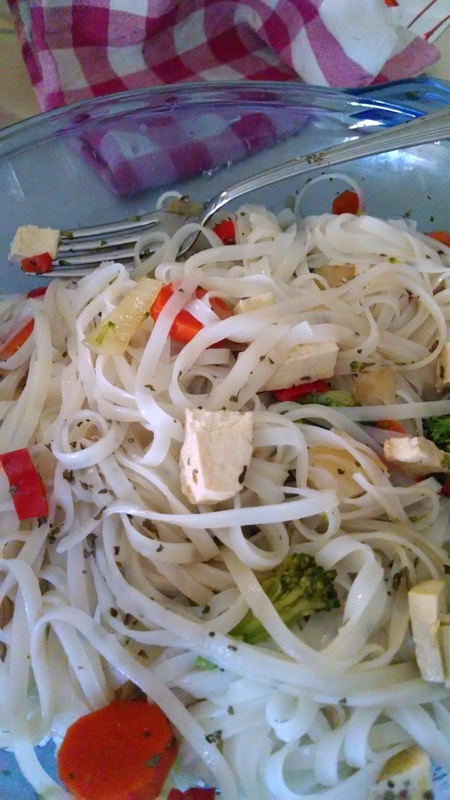 I made Asian style rice noodles. I suppose I technically cheated since I only heated the water in the solar cooker. I then brought it in and set the noodles in for about 20 minutes. It worked! I’m hoping that it might work for gluten-free penne noodles, but I guess that’s an experiment for another day. Rating: success. I need to find a better sauce, as it was a bit dry, but the solar noodles were great!